New Year, New Me, here are my 5 steps get healthy when on Warfarin. After a month of calming down from the festive madness that we seem to get ourselves in each year (or is that just me?) The end of January usually brings time to take stock and look at what works well and what if anything needs to change. A focus that is on many people minds in January, diet. Following a glut of treats and fabulous food, a tweak of guilt creeps in or more like a wrecking ball hits with the reminder of over–indulgence. Time to get back into the work clothes or find it’s a squeeze getting the jeans on…and the zip up! Hearing my unconscious self, giving my conscious self, a hard time on how much ‘it’ ate during the festive. Hey Ho! It is what it is, and it’s a starting point to get back on track again. So here are 5 steps get healthy when on Warfarin. Getting past the low energy and starting to work on food and exercise again is for me my stumbling block. I like to have a focus and an aim. Last year my aim was to complete an organised run. My training began beginning of January…very slowly and led to completing a 10K run in August. What I learned from this is, that it is all achievable. Okay, so let’s break it down how all of that became achievable and then it gives me a system to work with for 2019. In setting my goal it gives me something to work towards. It’s got to motivate me, be achievable whilst stretching me. It may benefit others too, for example, I ran for the charity APS Support UK which focusses on the blood disorder I have. Raising over £1,000 for them, so it benefitted them as well as myself. In 2019, I want to complete two organised runs. Focussing on these will keep my training plan up and now that I have made this public, then I am sure all my friends will hold me accountable! Another goal I have is to keep within the Therapeutic Range of my INR over 95% of the year. There are so many excuses I can give you on why I was out my range and they are not going to help me. I have the information to keep well within range and feel great so this year I will focus more on continuity in my diet and reduce another stone in weight. Setting goals, I think are more achievable once you have time to really decide on what you want rather than a knee-jerk reaction to festivities and making New Year resolutions. We can all make goals on living more, laughing more, and loving more but what does that look, sound or feel like? Do we have a frame of reference or a system to use to help guide us to where we want to be? With the running I had no frame of reference, I for sure have never been a runner. 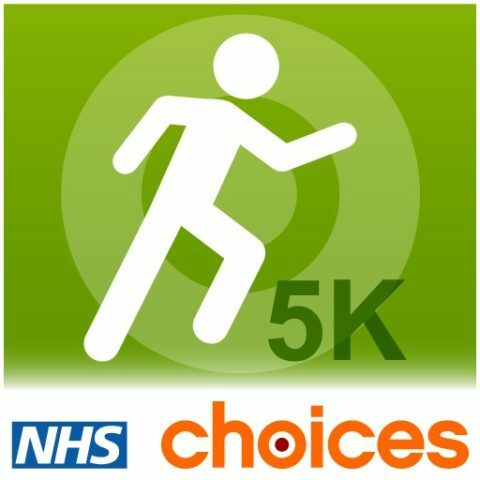 I had an APP for my phone (NHS Couch to 5K) that I religiously worked with each week and a desire to succeed. From the 5K, I then went on to do the 10K. Now in 2019, I have started my running again using both Parkrun events and the NHS App to keep me on track. After ‘falling off the wagon’ with both my diet and fitness plan, it can be easy to become a ’self-beater’ and focus my energies on what I have not done or what I have eaten during the festive period. It’s akin to limiting my thoughts to negatives which in turn makes me feel bad and then I want more food to cheer me up! No! Everyone has a tipping point, it can be judging how far we must go down before we find this point or at which point clothes become too tight in my case. My birthday is after Christmas so I tend to take stock just after my birthday and don’t punish myself for enjoying myself over the festive period. It’s only then set out my goals and what I hope to achieve. New Year’s Resolutions don’t work for me so I don’t make any. Preferring to wait until it is all out the way and then I can make my goals realistic. Focussing on what works rather than what does not helps keep me positive. Imagining the fantastic journey that I am going to have in getting to my goals is going to be amazing. It gives me energy to do more and achieve more. For the days that are more difficult then hey there is always another day to work on the plan. One day off won’t hurt that much. Two days? Perhaps, but one is fine. What thoughts are limiting you making a change? How often do you have these thoughts? Can you find an opposing thought which would help turn it into a positive? More specifically, what do you need to change? “The journey of a thousand miles begins with one step.” Lao Tzu Yes it is that simple, make the first move. Whatever the first move is, whether to walk down the street, cut out the sugar in the coffee, download an app to track your progress, start your daily training, go to more comedy events and have fun or buy your new lower calorie menu, you must take action. Are you a person who likes to talk about it? Plan it and not do it? Do you plan it and just do it? Or you could be someone who knows something needs to change and has no inclination to change. Whichever route we take for 2019, we can all guarantee that we will get feedback from it. So the talkers will still be talking but who is there to listen? I’m sure by March people will be fed up listening to all the excuses and plans on why you have not started to change. The do-ers are on their way, hopefully losing some weight or toning up and certainly feeling fitter or moving better. Those who take no action, I am sure your health or unconscious mind will soon give you feedback that change may be needed. Is this back to the Tipping Point again? Some people need to hit rock bottom before they make changes. In complete contrast to all this… you could be someone who on reflection is really very happy with your progress, health and wellbeing, so just want to do more of it. For me, I could feel my clothes getting tighter. My rings began to get tighter on my hand, I was getting more out of breath doing small runs to get things. How come a few months ago I ran a 10K event? It doesn’t take long to lose it. The decision was made, to watch my food intake and get moving so started on the Monday. I have reduced my daily calorie intake and started back on my NHS Couch to 10K App (part way through because I can still run some of it and don’t need to go back to the beginning). In addition, I am also back doing my Parkrun every weekend. What is your tipping point? Have you reached it? List the action do you need to take NOW? How daft is that? Of course you should be in touch with your body because it holds your mind and all its organs in place! Can you say that you are fully aware of what our body is actually telling you? Since having a stroke I can reflect on a number of ways my body was warning me that something was not right. I am not sure that having the sticky blood disorder APS (Antiphospholipid Syndrome) may have been found had I recognised all the symptoms. Putting them all together, no matter how trivial they seem, they were the warning signs. My sheer busy-ness cluttered my mind and I was just too busy to take notice. Back then, I did not know about mindfulness then, but do now. Now, working towards my goals I take time to have an awareness. Daily meditation sessions quiet my mind. I take time to appreciate my surroundings and that I can move my body. Focussing on how great it is that I am able to move, how amazing that my body knows when to breathe without me reminding it. Keeping in touch with your body and mind means that you will pick up the signals when and if you get them. Another thing to be mindful of is when you do get the signals, it is best to check in to first check that they are not a major medical issue. For example, a sore head could have a range of causes, it could mean that you also need to drink more water and are dehydrated. What you call the signal can have a great effect on you. So focussing on the pain in your knee and telling others or yourself that it could be something major then I am sure your body will respond to your request. Let me explain renaming further. When I was getting well again I used to get what I could say were panic attacks. Sometimes I could work through them quickly, others I could not. For the one’s I couldn’t I persisted with seeing doctors and eventually was told by a consultant that I was not taking enough warfarin for my blood. So there was not enough oxygen going round my blood system. Once my warfarin was increased by my GP, that all calmed down. Other times the panic has been more about tiredness. So instead of labelling it as a panic attack, I worked with my unconscious mind to find the cause. If tiredness came up, then I would take a nap. Rather than building up a fear in my mind, I would re-label the ill feeling as tiredness. So my energy levels are something I check in with regularly. Are there any signals that your body gives out that need to be acknowledged? What labels do you use for these? Are there any other labels you could use that would not have as negative an impact on your energy? Do you know about your conscious and unconscious mind and how you can help your wellbeing? Assuming that if you achieve the goal you set will make you happy could cause stumbling blocks on the way or once you have achieved your goal. How many people once they reach their goal, give up or take a break which ends up being longer than planned. Even getting to the goal can be fraught with stumbling blocks. Thoughts such as ‘I will be happy when I reach my goal’ or ‘only when I get my new car, it will help me reach my goal’ can be more detrimental to your success. How many times have you heard, ‘happiness comes from within’? If you have not lost two stone, then you won’t be happy? My response to that is, you may have lost one stone, and I would be happy with that and look forward to losing the next. Enjoying the journey has helped me learn so much about myself and I have also met some wonderful people on my way. I have also lost some wonderful people on the way too! There is no point getting hung up about it. What joy do you have in your life right now? How could you bring in more laughter to your day? Do you listen to audio’s or comedy sketches to help? Is there something or someone you adore that could build your happiness throughout the day? How do you look after your mind and body? Do you celebrate the small things? I challenge you to bring a bit more fun or laughter in to your day, somehow, someway and see the difference it can make. Enjoy! Some points to help start you off. I have shared with you some points I work on and I have so many tricks up my sleeve to share with you. I spent a lot of money training in health and wellbeing, both mentally and physically. In 2019, I am going to regularly give you little snippets that have helped me get well. I will also introduce you to people whom have helped me in my recovery and beyond. From you, I would ask if you can share what you find useful, what you would like to see more of, invite your friends along and let’s get well and keep well. Best Wishes for 2019 and I would love to hear from you.